Thankfully, for those of us in Tucson, we don’t have to deal with a lot of the auto repair issues that those in other states have to deal with on a regular basis. But we still need to pay attention to our car. For many of us, our busy schedules keep us on the go. We run out to our car, jump in, and drive off. 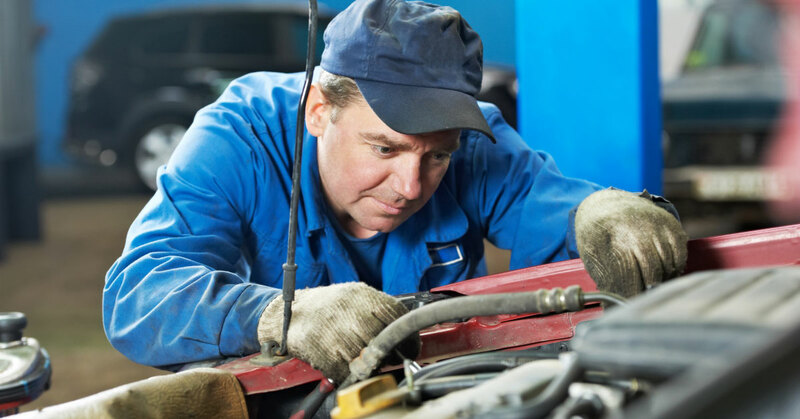 And even if we have a slower lifestyle it’s easy to put off auto repair issues that we encounter, but to prolong the life of your car or truck you must pay attention to it and address its needs in a timely manner. Proactive care is even better! With that thought in mind, have you ever started your car and thought “what is that smell”? When it comes to your vehicle, if you smell something odd, the majority of the time that means it’s time to pop the hood and see what is going on. Though some car aficionados, can identify what a “car smell” means, most of us have no idea. If you fall into this last category of drivers, here are the most common car smells that you may encounter and what auto repair your car may need. If you start your car and you smell a burnt toast type of smell, you should turn your car off and immediately seek your auto repair experts at Milex Auto Service Centers. A “burned toast” smell might indicate that you have an electrical problem such as a shortage or burning insulation. Any electrical auto repair issue is serious and you should get it checked out right away. If your car starts smelling like rotten eggs, you may have an issue with the catalytic converter. The check engine light may come on as well. If you encounter these auto repair issues, you should drive straight to the auto repair shop, if you can and the shop is nearby. If you start your car and you smell burning oil, check the ground where you were parked: if there is fluid on the ground, your drive train fluid may be leaking. Regardless if you smell burning oil, you must stop driving your car or your next stop should be an auto repair shop! Pop the hood and check your oil levels: Oil is an important part of your car’s functioning and driving without it could seriously damage your car. If you smell gasoline, it may or may not be a serious problem. If you have just filled up your tank at the gas station, you maybe smelling residual gas on your hands or on your clothes. Wash your hands and see if this solves the problem. You can also check the gas lid to make sure it is secure. If you smell the gas smell coming from your hood, give it some time and see if it dissipates. Don’t open the hood, until your engine has had a chance to cool. An auto repair issue involving your fuel system is a serious problem and needs immediate service. If you think you smell chemicals when you start or are driving your car, you may have a problem with your brakes or braking system. Your brake clutch maynot be releasing and if not fixed this can cause serious damage to your car. If you are having problems with your car’s performance, handling, and suffering in fuel economy, you may have a serious auto repair issue on your hands. Though many of us love waking up to the smell of syrup in the morning, smelling that when we are starting or driving our car is a different story. If you smell a sweet smell and lights on your dash are coming on, such as your temperature gauge light and check engine light, pull over: Your engine might be overheating. This smell without dash lights, but with steam coming from the hood or a metallic smell could also mean that your engine is overheating. Pull over immediately. An overheated engine is a serious auto repair issue that must be addressed as soon as possible. As stated above, it is best to take a proactive approach to taking care of your car, and at the very least pay attention to what your car is trying to tell you! Pay attention to these odd smells that you may encounter, also listen. If your car is making sounds that aren’t normal, you may also have an issue. If it is driving differently, you may also have a auto repair issue. You don’t need to be overly concerned about your car all the time, just drive your car with awareness. Call Milex Auto Service Centers! If you encounter these or any other auto repair problem in Tucson, call Milex Auto Service Centers! Not only do we pride ourselves in offering quality services to keep you going where you need to go, but we also offer a free towing service! We offer up to $50 in free towing services for auto services exceeding $100. Our towing partners have been working with us for 13 years, arrive in uniform, and have received professional training so you can rest assured that your car is in good hands from the moment that the tow truck shows up to the moment we begin to service your car.